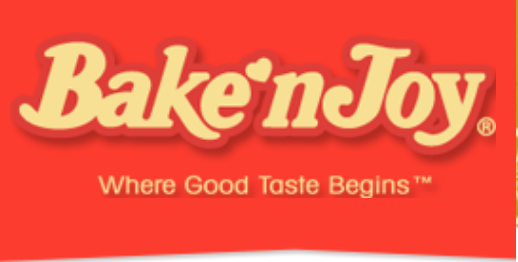 Made in USA - Bake'n Joy Boston Coffee Cake Cinnamon Walnut 24 oz. Cube .96; TiHi 10/5 - note 24 oz. 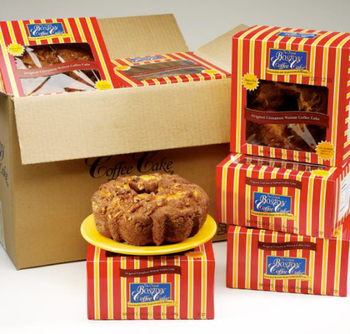 No Sugar Added Coffee Cake is packed 8/case, 18"9.25"x13.25", 13.5 lbs., cube 1.28, TiHi 10/5. 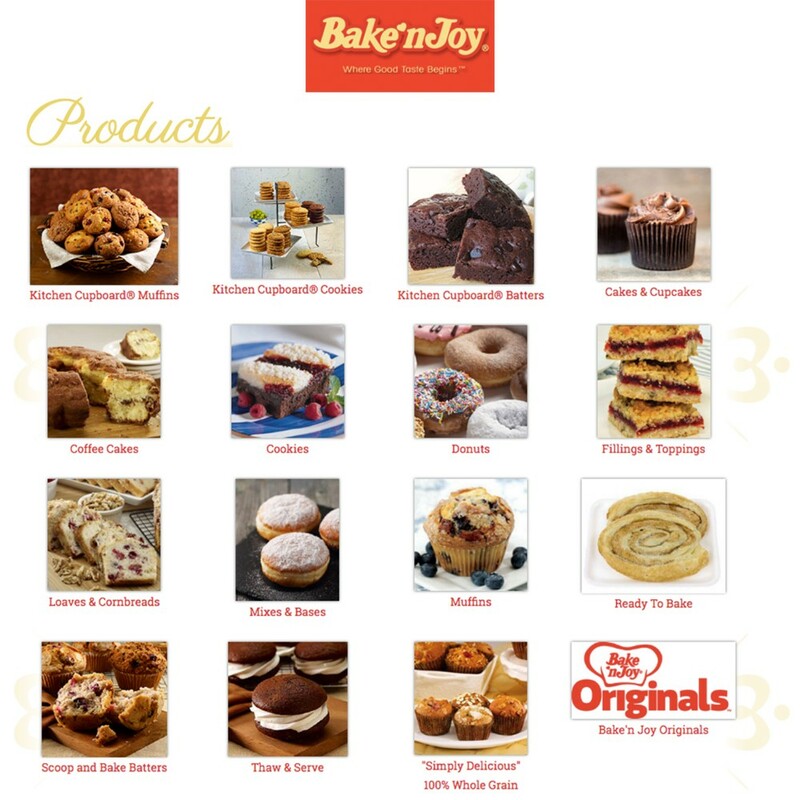 Sensationally-moist coffee cakes, succulent chocolate dessert cake and delicious pound cakes make up the award-winning products with the Boston Coffee Cake name. 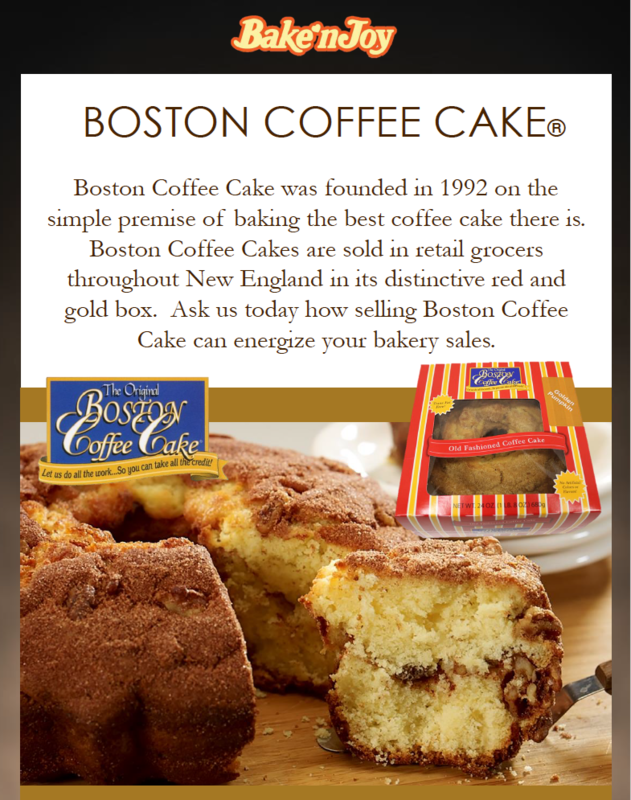 Founded over 20 years ago with a beloved family recipe, Boston Coffee Cake has become a New England favorite. Each cake is made the old-fashioned way, using real sour cream, premium ingredients and lots of hand-applied cinnamon sugar, walnuts and other toppings.